Dynamics GP and Forms Printer – it slices & it dices! Every organization has unique business processes, and tailoring solutions to meet, automate, and scale those processes can be very rewarding wins for your organization. We had a rather unusual client requirement come through that we were able to accommodate in Microsoft Dynamics GP with the addition of Accountable Software’s Forms Printer application. A client in the philanthropic sector had a specific need to automate email delivery of invoices, with a special requirement. Certain customers needed to have their invoices “split” and delivered separately, with certain charges prorated between documents or appearing only on special secondary invoices. 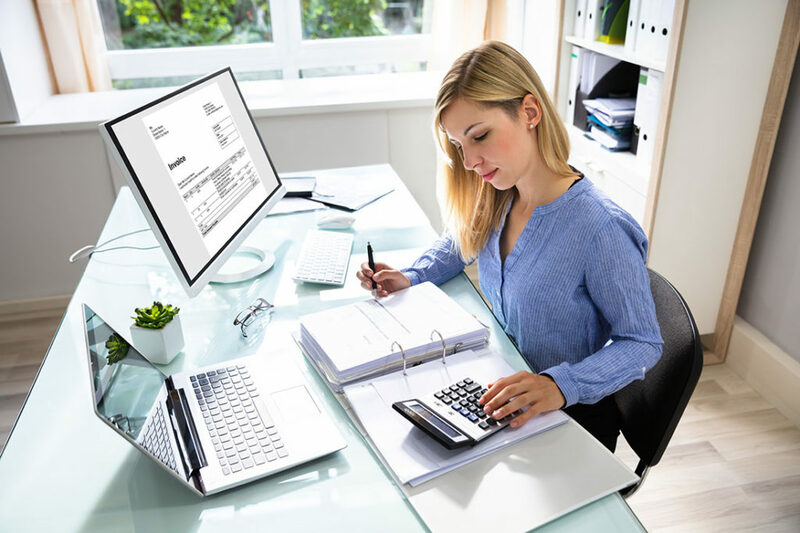 However, due to limitations with the business workflow further upstream, existing integrations, and cash application, it wasn’t feasible to actually create the secondary invoices in Microsoft Dynamics GP. Crestwood Associates stepped in to help solve this problem and discovered an excellent add-on solution: Forms Printer application from Accountable Software. 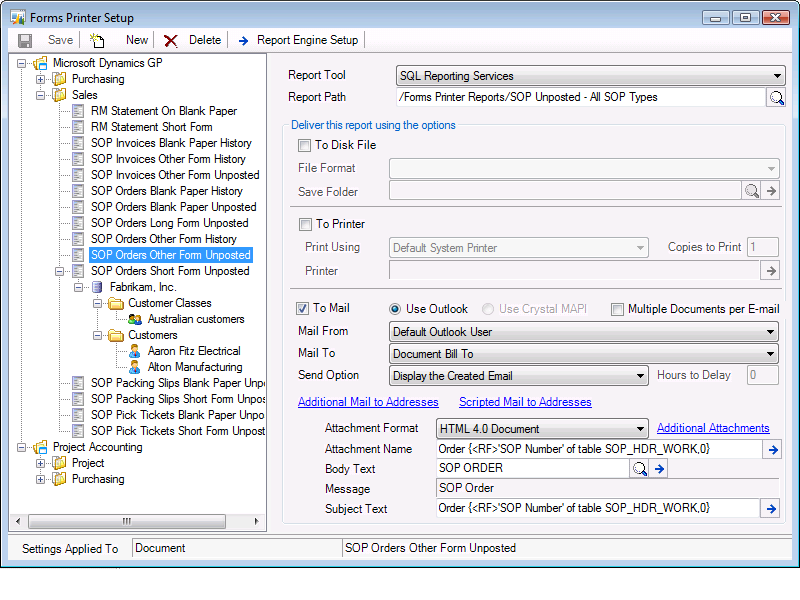 Forms Printer is a document delivery tool that leverages SQL Server Reporting Services (SSRS) giving you complete control over the format of the email attachment and sophisticated delivery options within Dynamics GP as well. It’s a seamless interaction yet offers the most flexibility of any tools in the market today. By using Forms Printer, we were able query and deliver a batch of “virtual invoice” which met a sophisticated set of criteria including customer class and document type. Here’s how it works. When a batch of invoices is printed, Dynamics GP populates the SOP50200 and SOP50300 tables with invoice headers for the batch. These tables are normally then used to generate the invoices. With Forms Printer, we have the ability to manipulate this data before the invoices are actually printed, so instead of taking invoices directly from the SOP temp tables in Dynamics GP, we created our own temp table where we were able to split invoices according to very specific business logic requirements and deliver them as one, two, or three separate invoices / attachments to the client email. This way, the process was completely automated and required no intervention on behalf of the AR user, and does not disrupt other business processes within the organization. Using Dynamics GP and Forms Printer, we were able to control the raw invoice data, the presentation, and the delivery with an extreme level of detail and configurability. Ginsu! Don’t miss future posts on Dynamics GP. Subscribe to our blog and get new articles right in your inbox.